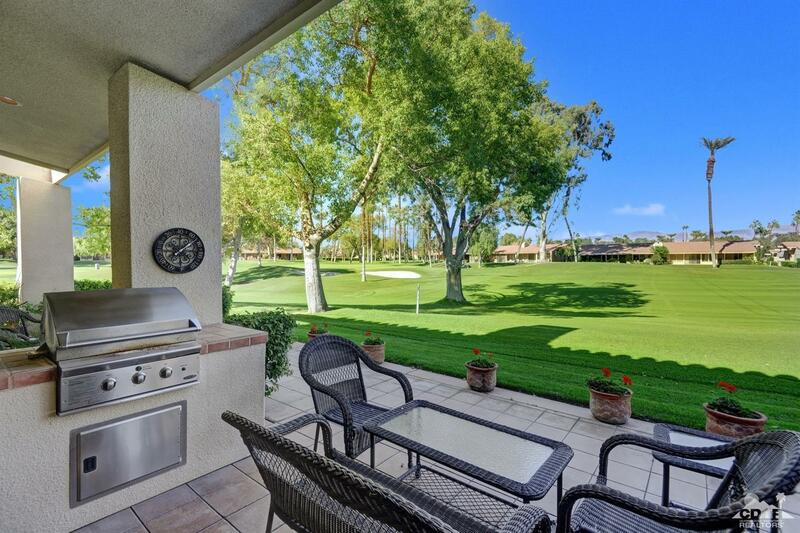 Mountain, Fairway and Green Views! 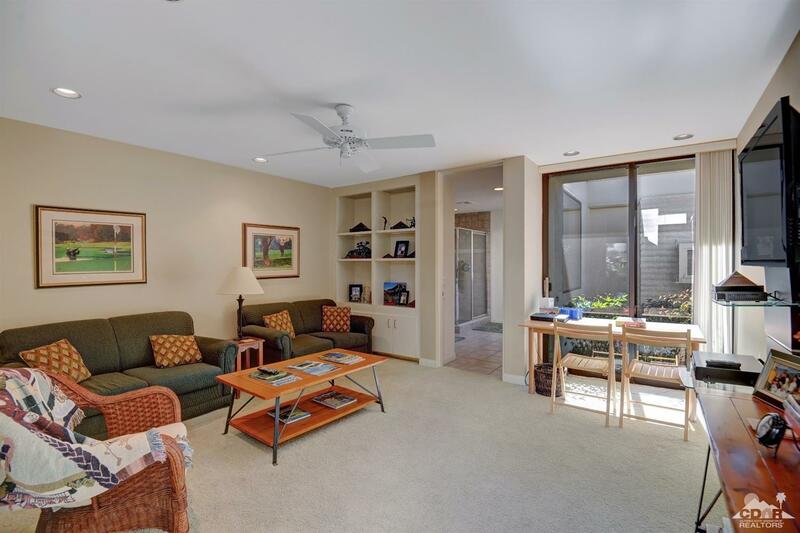 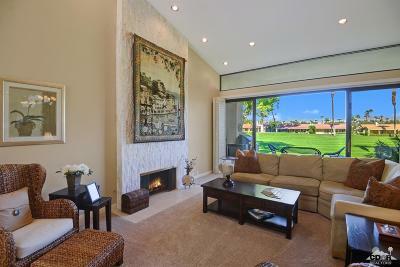 This sunny South-facing Courtyard Patio w/ flowering gardens welcome you into this lovely Furnished Cypress floor plan. 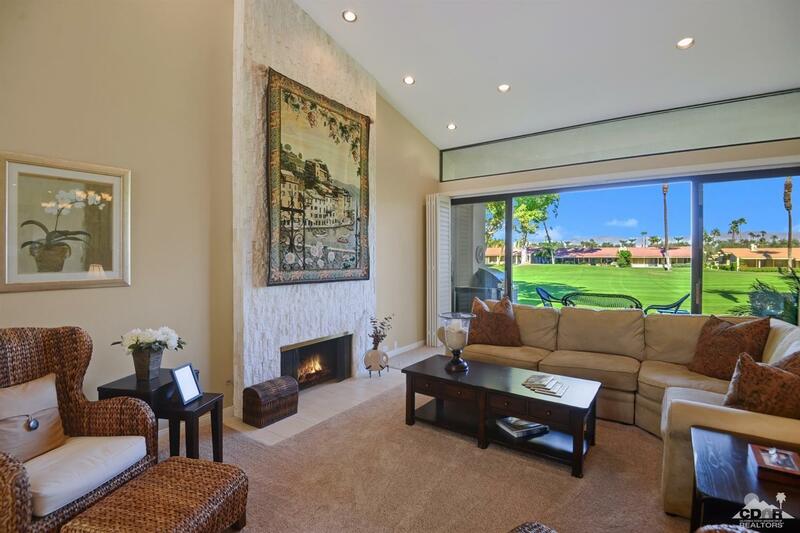 This End unit on a cul-de-sac offers this home the utmost in Privacy, an open spacious Living Room w/ Fireplace & Wet bar, Formal Dining area w/ dramatic wall-to-wall windows & natural light streaming from the Atrium, an updated Chef's Kitchen with rich wood cabinetry, appliances & harmonizing Granite countertops & breakfast Nook. 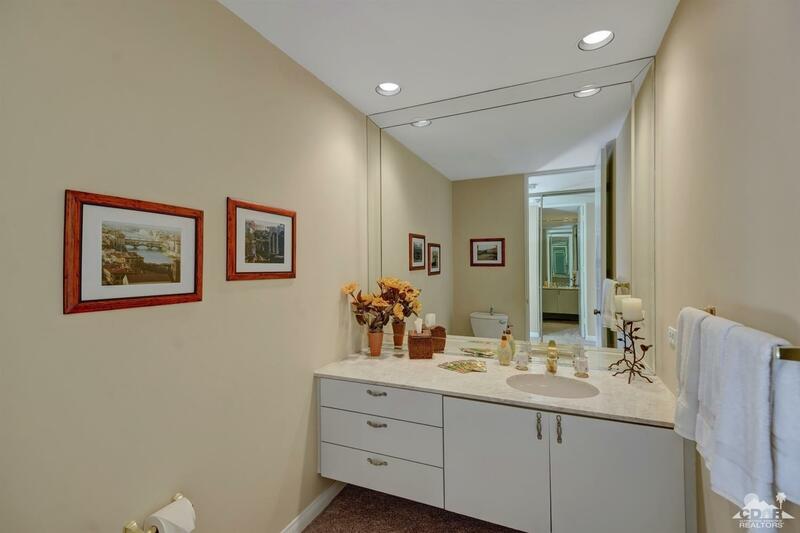 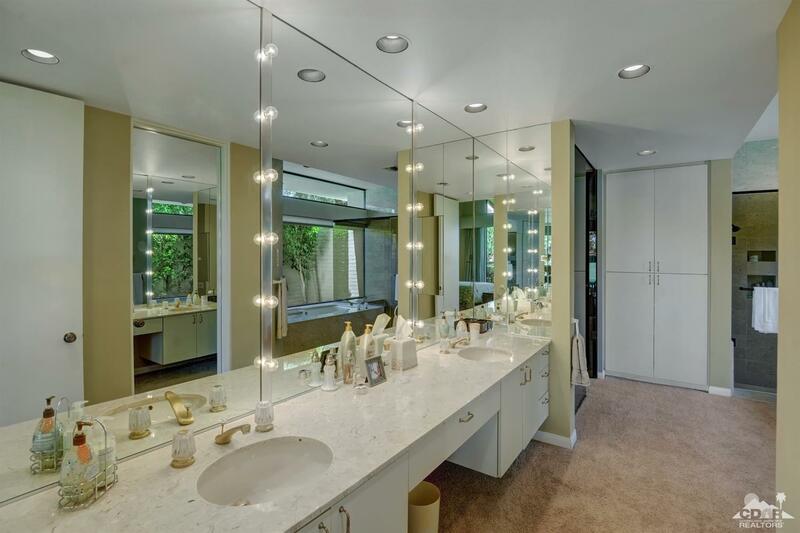 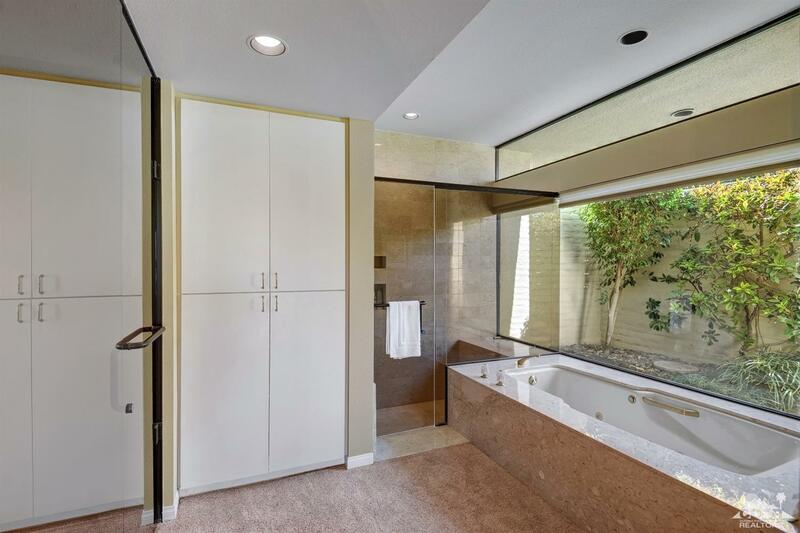 Master Suite w/ custom walk-in closet & spa-style bath feature glamorous elements of style. 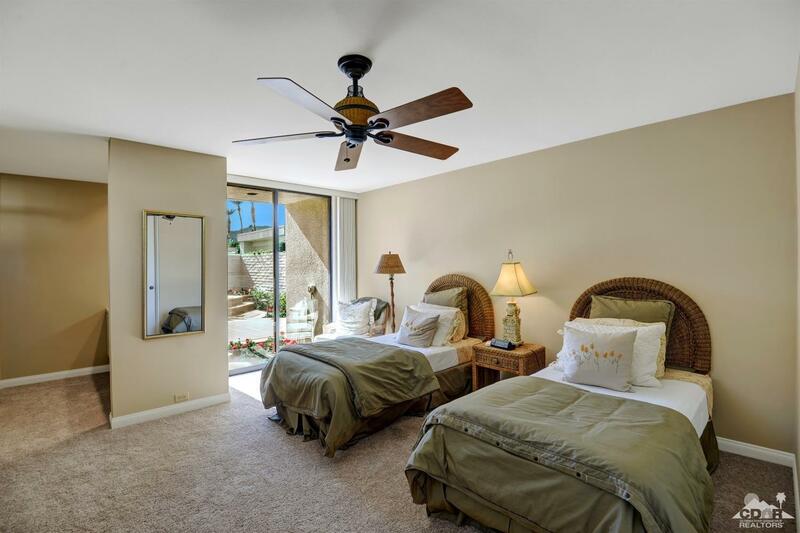 Two spacious Guest bedroom Suites; private baths for guests and sliders out to their own patios. 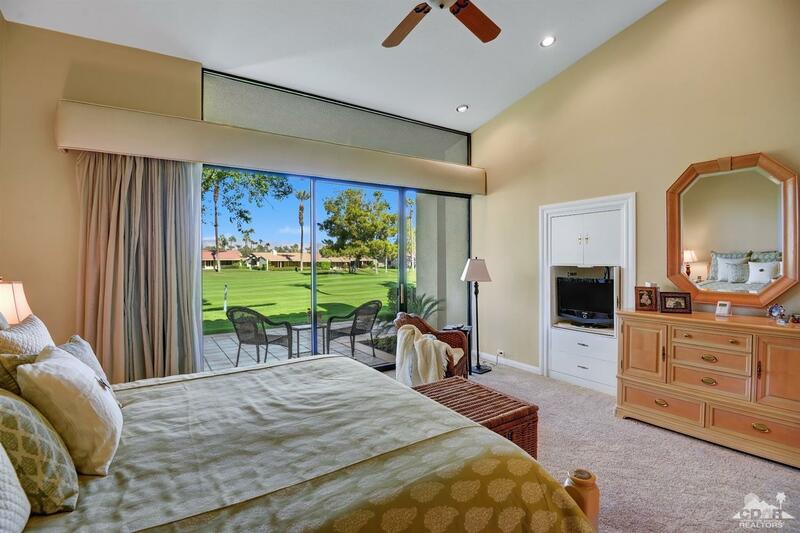 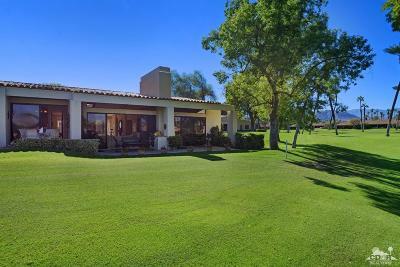 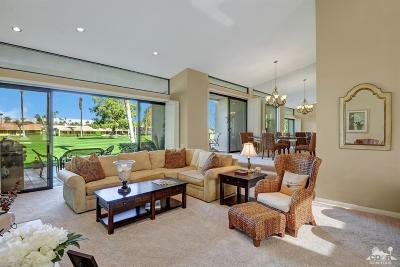 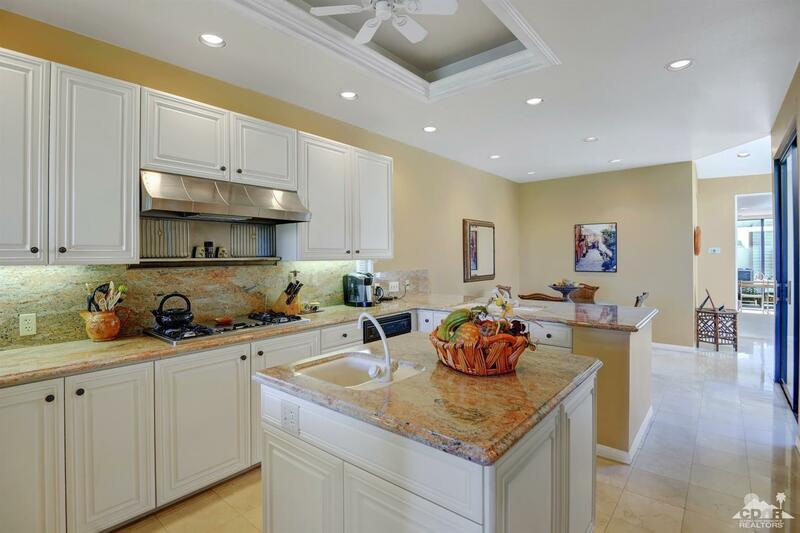 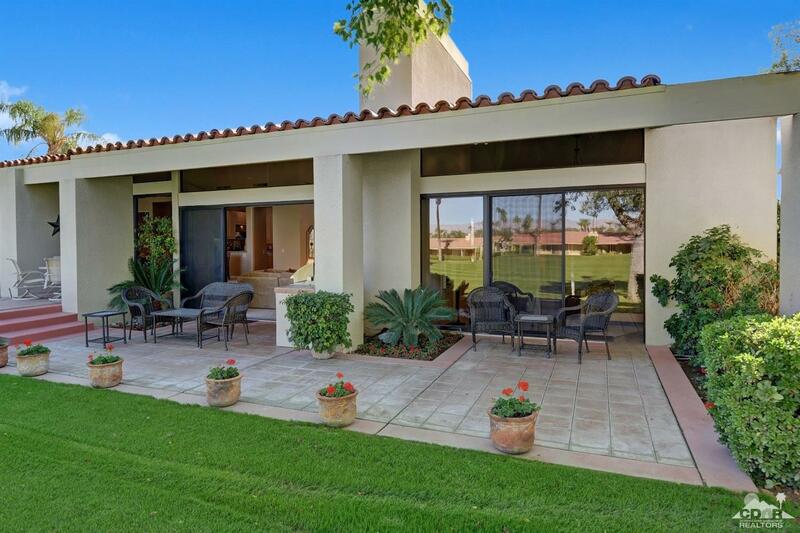 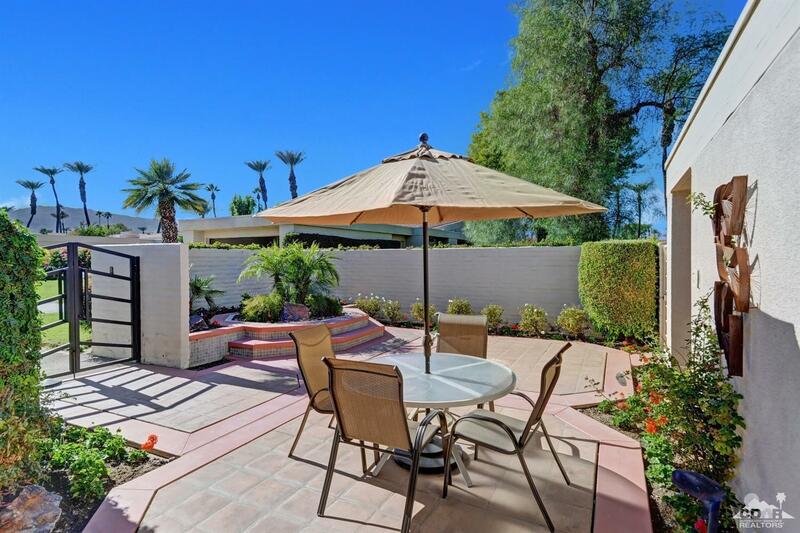 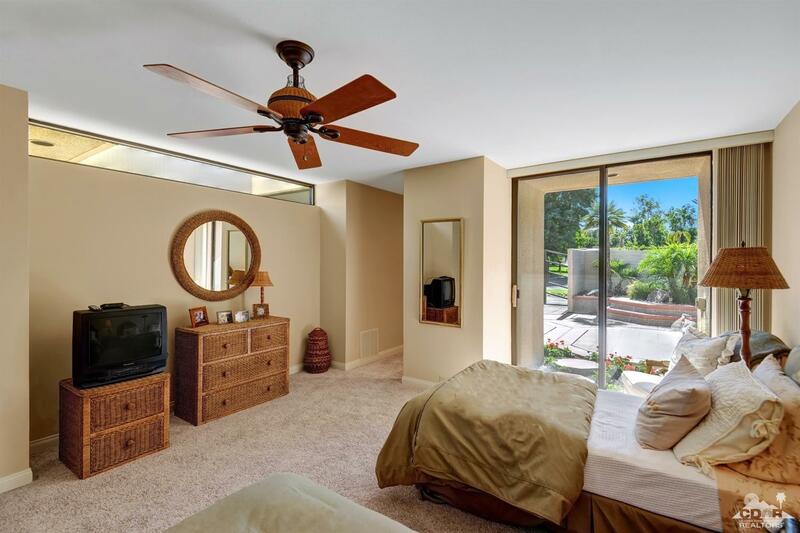 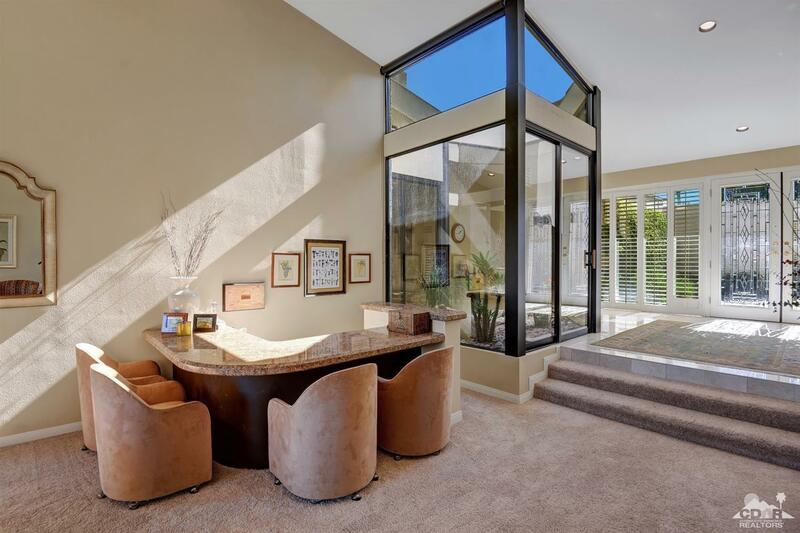 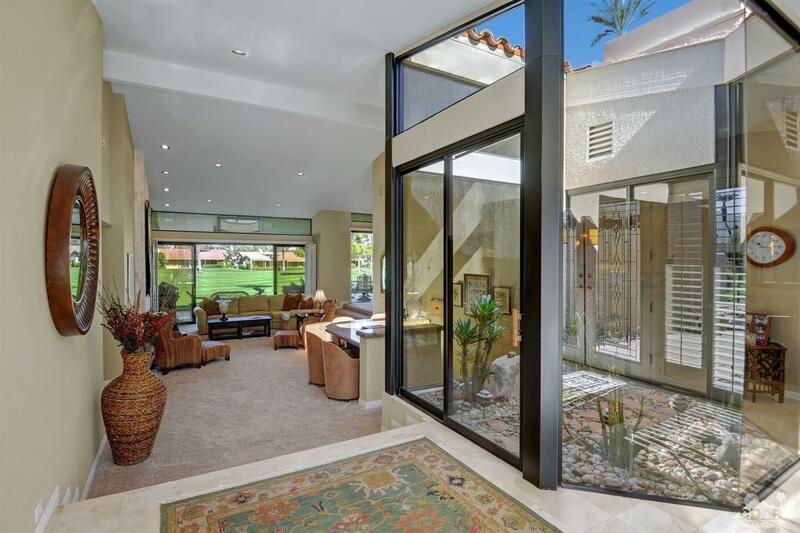 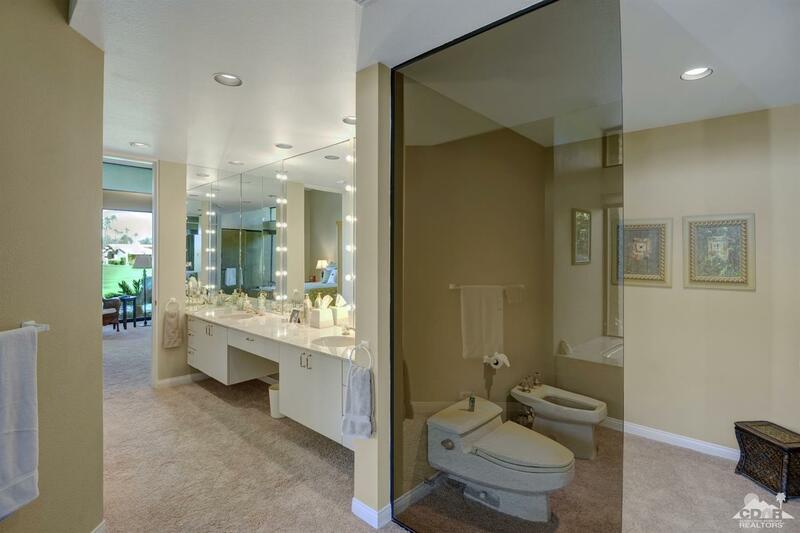 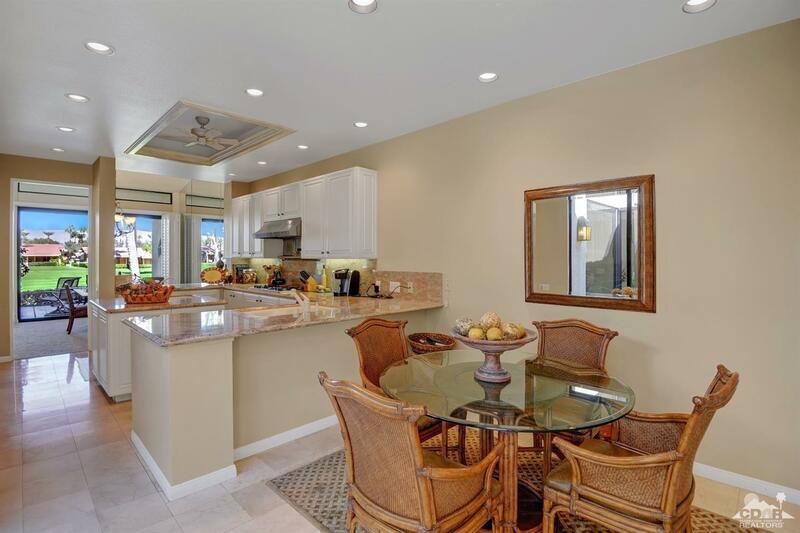 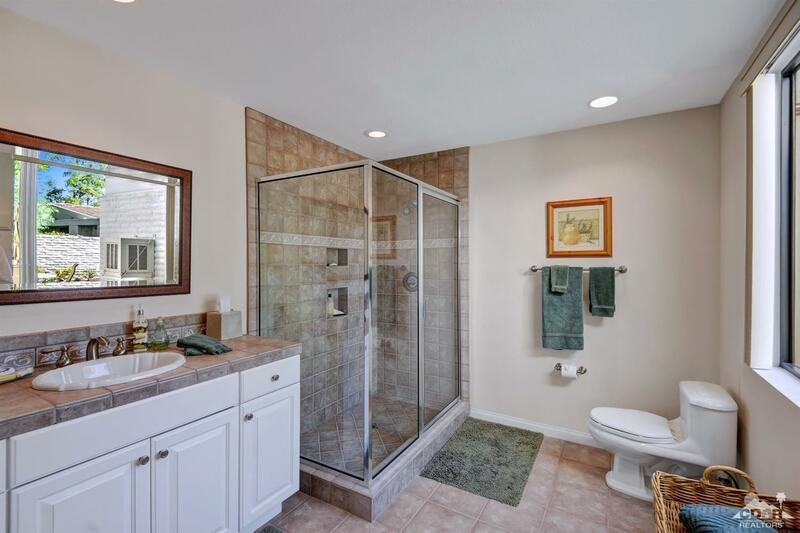 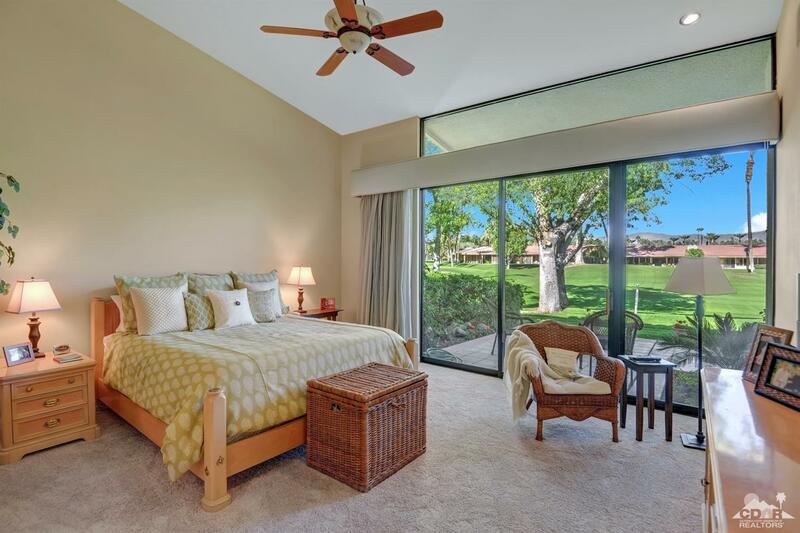 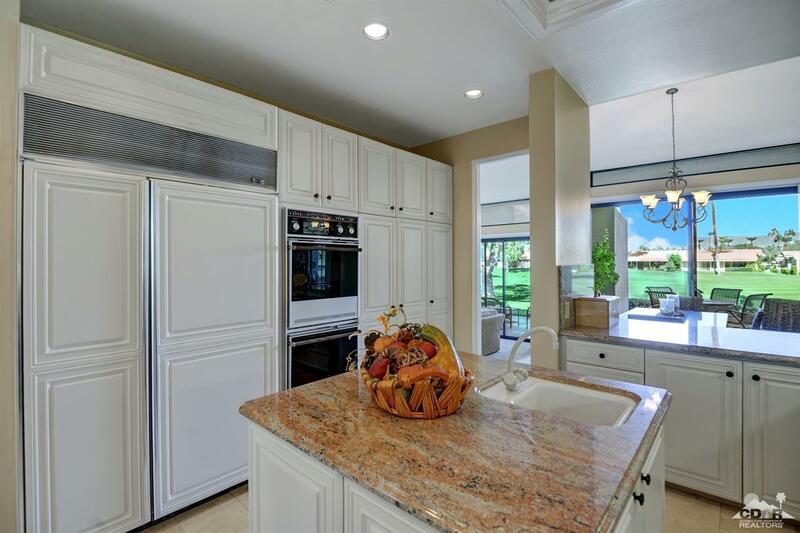 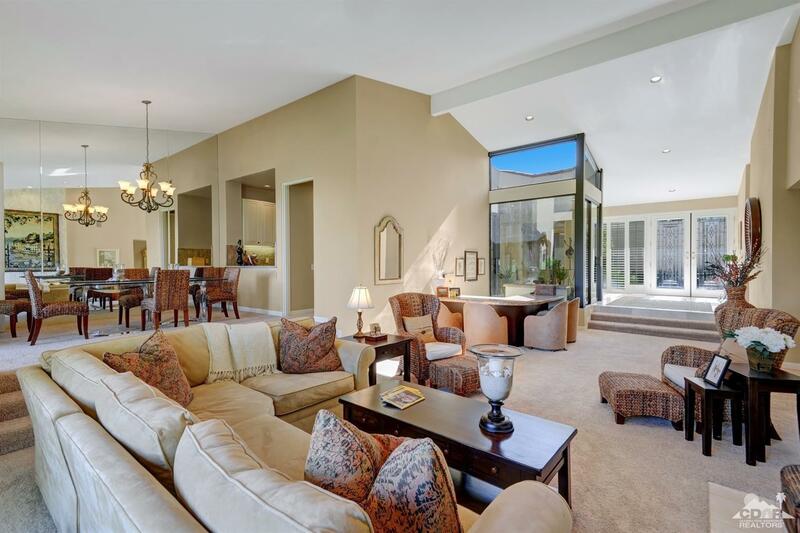 Imagine glorious desert evenings enjoying Fairway & Mountain views from your multiple patios. 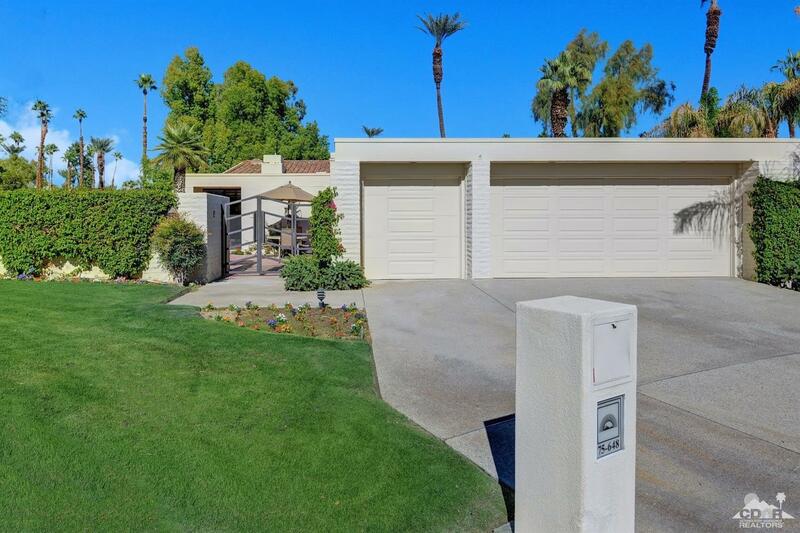 Built in BBQ ~ 3 Car Garage completes the home. Community pool just steps away. 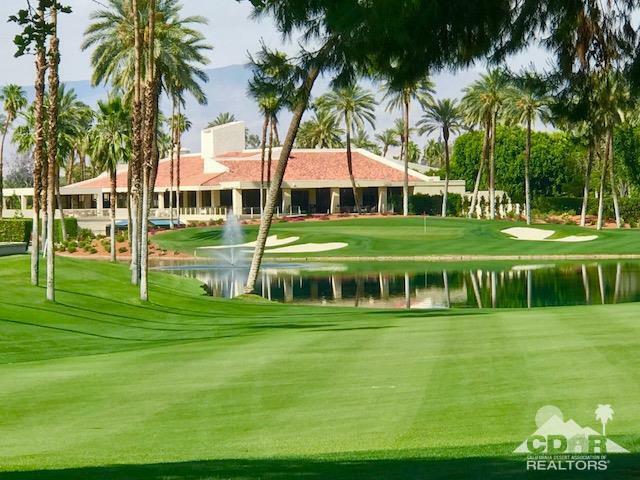 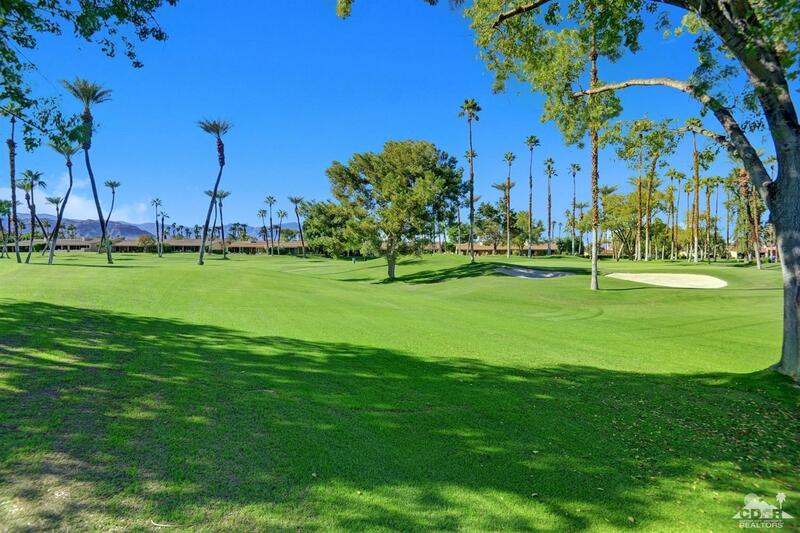 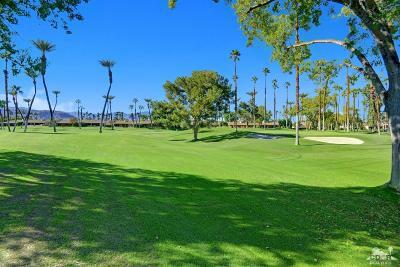 Enjoy the country club lifestyle, 18 Hole course, Dining, Tennis & Fitness.